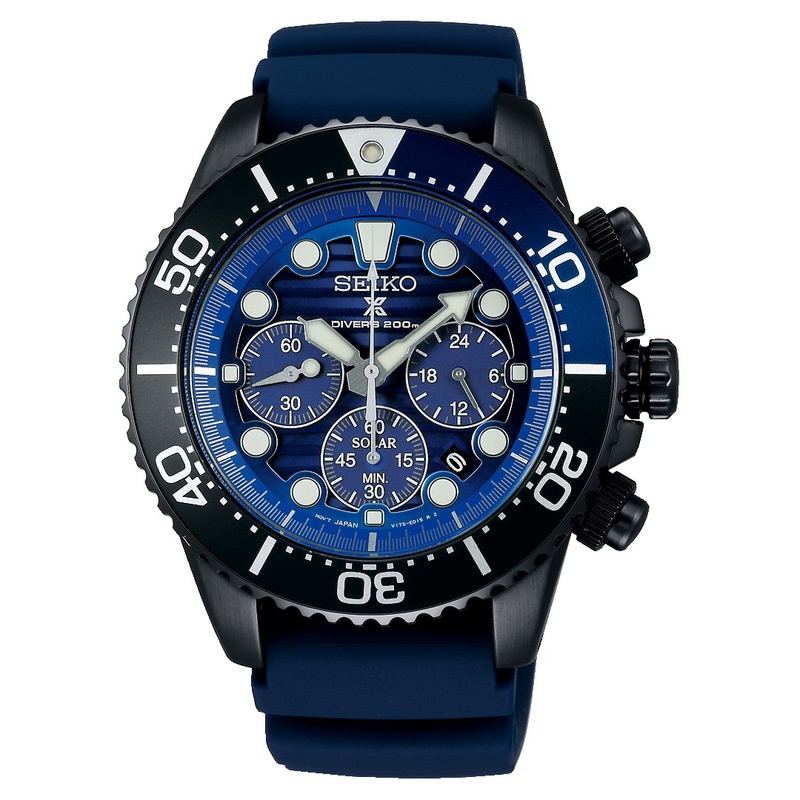 SEIKO have created three new Black Editions which will join their SAVE the OCEAN family that is currently four members strong thanks the recent addition of TUNA, SBDJ045. This is the Solar Diving Chrono Save the Ocean Black ref. 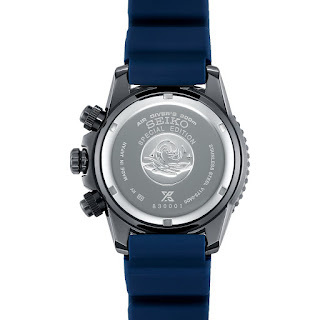 SBDL057 which has an MSRP of 52,000JPY + tax. Its steel brother is ref. SBDL055 or SSC675P1 (US). Basic spec. includes: a H50mm x W43.5mm x D13.8mm Stainless steel case with black DLC coating, Hardlex, 200m and V175 Solar. Thoughts? Prefer the other two, a lot more. How bout’ you?